I’ve been excited about Black Panther from the moment I heard about it. Anything that involves Our Lady Lupita (you know her as Lupita Nyong’o) get me psyched. I adore Lupita—and the fact that she can actually spit some bars is icing on a fine cake. If you follow me on Facebook, you know that I’m obsessed with the movie and its reception. We often hear that movies with an African-American lead or with a predominantly black cast aren’t worth the investment because their box-office potential is limited. Well, they were wrong! Black Panther is a record-breaking movie. Not only people are showing up to the theatres, they are also showing out! Why are we so extra with this movie? The predominantly black cast. Danai Gurira is one of my favourite people in the industry right now. She is fabulous as Michonne in the television series The Walking Dead. She’s also the playwright of Eclipsed, the first play with an all-black and female creative cast and team to premiere on Broadway. Do I really need to explain why I love Angela Basset? In my opinion, the scene in which Bernadine Harris (Waiting to Exhale, 1995) burns her cheating husband’s belonging is one of the most iconic scenes in movie history. Plus, she has so many iconic roles: Tina Turner in What’s Love Got to Do with It (Brian Gibson, 1993); Dr. Betty Shabazz in Malcolm X (Spike Lee, 1992) and Panther (Mario Van Peebles, 1995). And then there were the boys. Michael B. Jordan is bae. I absolutely adored him in Fruitvale Station (Ryan Coogler, 2013). Chadwick Boseman is bae as well. He played James Brown beautifully in Get on Up(Tate Taylor, 2014). Daniel Kuluuya, seen in Get Out (Jordan Peele, 2017) made me believe that the Sunken Place exists, and confirms his talents here. As one of the best, Forest Whitaker doesn’t need any introduction. I will only remind you of his award-winning performance as the dictator Idi Amin in The Last King of Scotland (Kevin Macdonald, 2006). The director. Ryan Coogler has been on my radar since I saw Fruitvale Station. That movie stayed with me. The story is told in a very simple and compelling way. I shed tears of rage throughout Oscar Grant’s ordeal. I didn’t like his Creed (Coogler, 2015). The storyline fell flat, in my opinion. But now, thanks to Black Panther, I’m willing to give it another watch. When the first trailer dropped, I couldn’t stop watching it. February 16 couldn’t arrive fast enough. I was willing to skip Christmas to get to February. And this says a lot since: 1) I love Christmas, and I start singing carols in the summer; 2) I live in Canada, and I dread the month of February (it’s often the coldest). Black Panther is not your typical superhero movie. The black characters aren’t mere sidekicks; instead, they run the show. Wakanda is a celebration of African culture, a dialogue between Africa and its diaspora, and provides a glimpse at a world where men and women walk side by side as equals. Wakandans speak English with an accent that is not American. Some people have said that it took them a minute to adapt to the accent. I didn’t. The actors’ diction was impeccable. Their accent provided a necessary authenticity. It served as a clear demarcation between Wakandans and outsiders. I liked that the costumes were inspired by different regions and tribes on the continent. 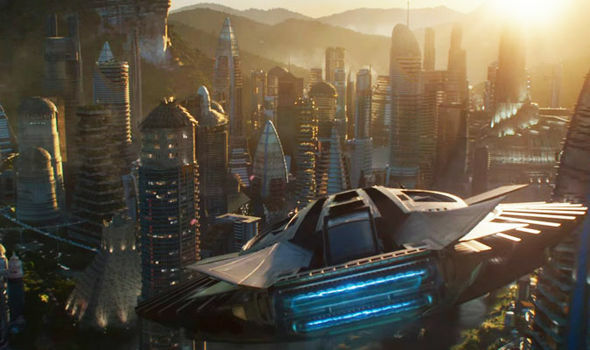 You may be wondering how likely it is for a single country be that diverse—Wakanda is home to five tribes. Actually, it is very likely. For example, Nigeria has hundreds of ethnic groups. The choice to portray as much African culture as possible feels deliberate. 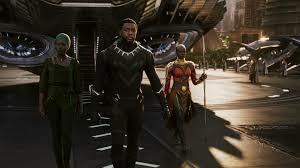 The result is fabulous outfits that have me thinking about planning a Wakanda wedding for my 20th wedding anniversary. The movie passes the Bechdel test—with flying colours. The female characters are phenomenal. They are strong and opinionated characters. They are spies, techies, generals, lovers, mothers, and sisters. They are standing next to the men in their lives, never behind them. They live according to their own values, never those of their significant others. There doesn’t seem to be arranged marriages in Wakanda. Otherwise, Nakia wouldn’t be talking about becoming a queen “if that was what [she] wanted”. Furthermore, no one seems to be concerned about Shuri’s betrothal. She lives her life, engineering designs and new technology. Compare her life to the common idea of a princess life that most movies or television series convey. Also, did you notice how Okoye told W’Kabi that he’d always come second to Wakanda? When, I did, I almost fell off my chair. ​But she said it to the wrong person. In my opinion, Killmonger is the colonizer. He waltz into Wakanda as though he owns the place. To be fair, his father was a Wakandan prince. But still, Erik needs to calm all the way down. Not only does he challenge T’Challa, he also challenges the Wakandan way of life. The first person he kills on Wakandan soil is Zuri the shaman, a religious leader and counsel to the king. His first decision as king is to burn all the heart-shaped herb. 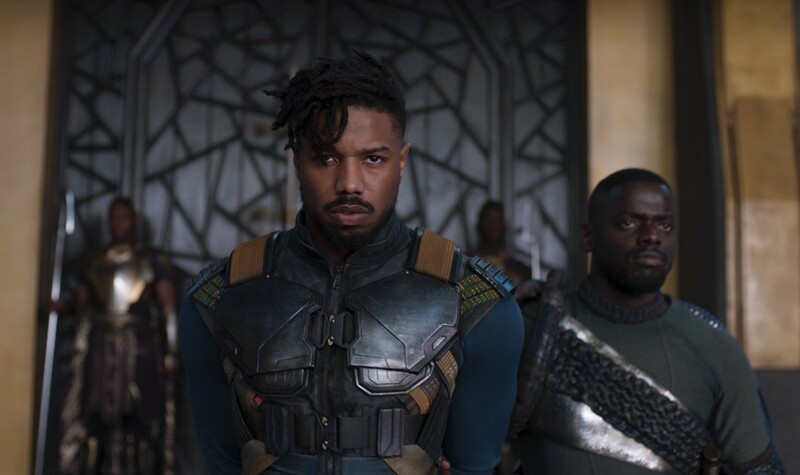 Erik Killmonger enters Wakanda with his heart full of hate and his head full of dreams. He dismisses religion and burns tradition. If these aren’t colonizer moves, I don’t know what is. Now, if T’Challa wasn’t so busy freezing each time he sets his eyes on Nakia, maybe he would have heard what she’s been saying for a while. I bet you this is what they broke up over. Nakia was probably tired of his “let’s stick to our way” attitude. I got tired of it real quick myself. Nakia has seen the world. Her voice is that of a new generation of Wakandans who are tired and ashamed to be standing on the sidelines while the rest of the world suffers. Unlike Killmonger, her approach isn’t violent. She talks about aid and how they would do it better than others—the recent Oxfam scandal comes to mind. But that’s a subject for another post. No wonder Queen Ramonda asked her to take the herb. I wish she had. When Nakia talks about loving Wakanda, one wouldn’t be wrong to infer that she’s also talking about T’Challa. Her love for him and for her country seems intertwined. At times, she reminds me of Sidney talking about hip-hop in Brown Sugar (Rick Famuyiwa, 2002). Okoye is all about loyalty to the throne and holding on to tradition. And, for part of the movie, she struggled with the idea of letting Killmonger sit on the throne she vowed to protect, even though he is harming her traditions. She only stands up to Killmonger when she realizes how much contempt he holds for tradition. He never cared about the challenge. T’Challa’s return is a hurdle on his path, a new kill to carve on his skin. I like T’Challa. I think he is the epitome of a leader. He never has to remind people that he is king. He naturally commands the respect of his title. He listens to the people around him (except Nakia) and recognizes their expertise. Chadwick Boseman played the role to perfection. While he’s the movie’s star, he never outshines the other actors. He has presence without being overwhelming. And he made me wish I had an older brother like him growing up. His relationship with Shuri is so special. The way they tease each other. The way they have each other’s back. The way she’s the brains and he’s the muscles. The way he treats her like a full human being. He steps in when she really needs him—like when cousin Erik decided to send her to meet the ancestors. Black Panther is an important film not only because it is breaking records, but also because of the many themes the movie discusses, from the role of women to slavery to romantic love. The movie introduces to complex and, at times, complicated characters. Ryan Coogler tells their story so flawlessly. He invites us to a fictional world that I wish were real. Look for me on Facebook. I’ll be the one keeping the Wakanda Forever hashtag alive! Yves-Marie Exumé is a travel blogger for Pieds Poudrés. 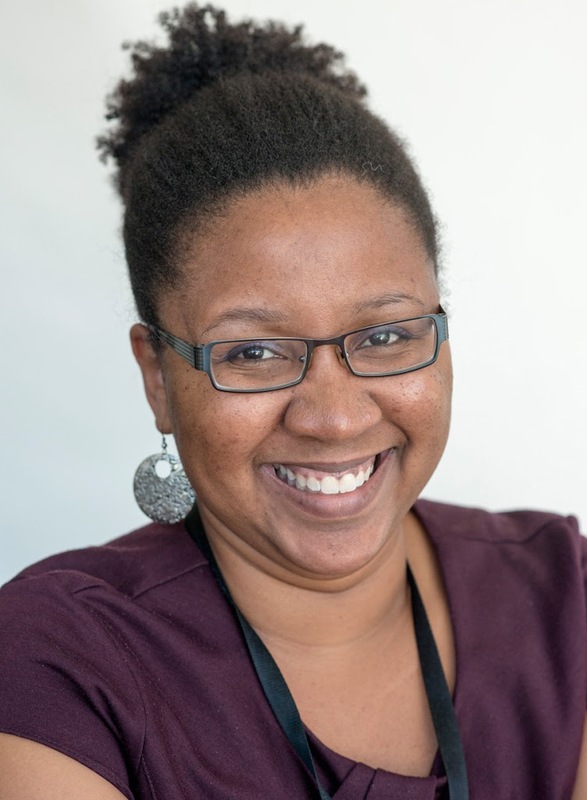 She hails from Port-au-Prince, but currently lives in the Ottawa-Gatineau region. She’s a foodie, a bookworm and a film aficionado who spends way too much time in museums and in front of the TV. She loves shoes, photography and everything Haiti. Follow her on Instagram and on Facebook.